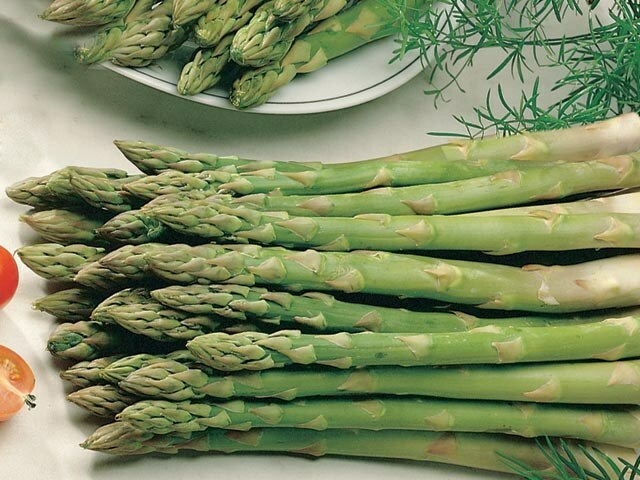 To asparagus has reached its readiness for use, need only 5-10 minutes of boiling or steaming. After this vegetable can be eaten, dipped each escape in a special sauce or butter. 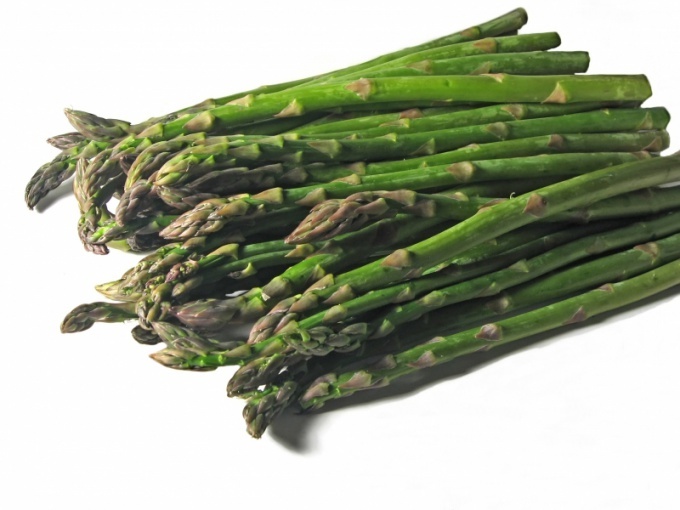 If desired, you can use the boiled asparagus into other dishes: soups, salads, pies, casseroles. The asparagus season lasts just one month, starting from late April and ending in early June. Perhaps that is why it is the most expensive vegetable. Its value is defined not only in monetary terms. Asparagus is a nutritious food and flavor, and therefore is one of the noble vegetables. However, this does not mean that the recipes for its preparations are hidden behind seven seals. Cook the asparagus can even the most inexperienced hostess. Far fewer Russians were able to appreciate the asparagus, because to feel this delicate taste, you need to cook it. The most popular are: green, white and purple. The most simple is green – it can be collected all year round. White, due to the short season and time-consuming cultivation in the absence of sunlight, more expensive. And purple asparagus is one of the most exotic, although at the slightest heat treatment it becomes a normal green. Asparagus is a young shoots bushy plants, so must srazhatsya in a timely manner, until it grew. The same property is characteristic of bracken, which looks very similar to the young shoots of asparagus, only a little thinner. Asparagus is not subjected to long-term storage. If you can not cook immediately, it is necessary to cut the base of the shoots (like the flower) and place in a container of water so that the ends were a few inches hidden in the water. Before cooking asparagus is rinsed with cold water, and its base is cut for 2-3 cm. This does not mean that this part is inedible, it's just more rough. The young green shoots enough steam treatment for 5 minutes that they were ready to eat. Cook asparagus in water on the grill, in the oven, but the main condition – not to digest. To the base of the shoots had cooked, and tender tips while not overcooked, experts recommend to use a narrow and tall pot, where most of the escape will be hidden under the water, and the rest will be exposed to steam. 5 minutes is the optimum time for boiling green asparagus, white, cooked 10 minutes. Fans of this vegetable, consume it immediately after cooking, just dip in olive oil or butter. Often cooked dish gives a distinctive flavor, sprinkle it with balsamic vinegar. The same vinegar mixed with mustard and olive oil, used for salad dressing asparagus and tomatoes. In General, the classical variant of the use of boiled asparagus is combined with hollandaise sauce consisting of water, lemon juice, salt, pepper, butter and egg yolks. Asparagus can become a good side dish to meat or fish, it is good with boiled potatoes, scrambled eggs, as an ingredient toppings for the pie. There are many recipes for baking in the oven shoots, wrapped in strips of salmon or ham and drenched in a sauce or simply whipped eggs. Before cooking cut the base of the escape is not ejected and added to the soup. In Europe, the common asparagus soups is not in meat broth, and the broth left after cooking the young shoots of asparagus. The soup uses onions, carrots, tomatoes, potatoes and rough trim the asparagus, which only has a little longer to boil and grind in a blender. Asparagus is a versatile vegetable with which to experiment, creating new dishes in his kitchen. Despite the fact that asparagus is not the cheapest vegetable, it can be often seen on our tables in the form of a garnish or seasoning. Do not be confused by the variety of colors – from white to purple-green. Asparagus – the product is very easy to use, and its cleaning will not have need of special effort. Don't forget before working with any vegetables, wash them carefully (asparagus is no exception – rinse it under cool water). Need to get rid of dry fibrous tip of the asparagus (place close to the roots of plants). To do this it is simple enough – it easily breaks off at the right place. Typically, its length ranges from 1 to 3 cm depending on the length of the vegetable. Next, you have to understand how the young vegetable. If the skin is very soft, and cut its not worth it (after all, it is a sufficient quantity of vitamins for which you acquire the asparagus). Enough carefully with a sharp knife to cut the film with the "head" (head) of the vegetable. If the skin is thick and fibrous (as often happens with white asparagus), then you need a more thorough cleaning. For this you will need a sharp thin knife and the best knife for cleaning of potatoes (popularly known as the "potato peeler"). Putting the stalk on the palm, begin to remove the skin layer by layer from head to bottom, until you get to the juicy core and not get rid of all the fibers. That's asparagus and is ready for further processing! 1. When you purchase asparagus, choose shoots which the top layer seems strained. "Wrinkled" skin of vegetable suggests that he's on the counter too long and dry. 2. Thin stalks of asparagus require less time for initial processing. 1. The most delicious asparagus from the upper part, so it requires the most thorough and accurate processing. 2. If you have correctly processed the asparagus, you can also freeze. From it then get the asparagus soup and asparagus relish. 3. If after processing of asparagus you want to preserve its rich color, it is necessary to lower it in cold water with ice.